This book is not about your grandmother’s old-fashioned etiquette! It cracks the code to modern business manners: social media, networking, emailing, texting, dressing, business dining and more. It is especially relevant to recent graduates transitioning from the campus to the corporation. 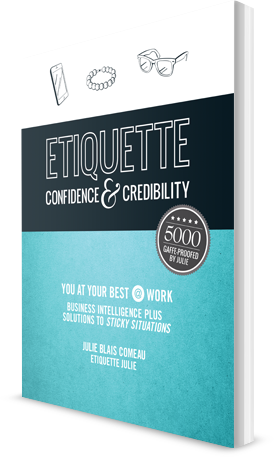 Etiquette: Confidence & Credibility is like your own mentor.